Cao, F., Rickles, B., Vu, M., Zhu, Z., Chan, D. H. L., Harris, L. N., Stafura, J., Xu, Y., & Perfetti, C. A. (2013). Early stage visual-orthographic processes predict long-term retention of word form and meaning: A visual encoding training study. Journal of Neurolinguistics, 26, 440-461. Cao, F., Vu, M., Chan, D. H. L., Lawrence J., Harris, L., Guan, Q., Xu, Y., & Perfetti, C. (2013). Writing affects the brain network of reading in Chinese: A functional magnetic resonance imaging study. Human Brain Mapping, 34, 1670-1684. Guan, C. Q., Liu, Y., Chan, D. H. L., Ye, F., & Perfetti, C. (2011). Writing strengthens orthography and alphabetic-coding strengthens phonology in learning to read Chinese. Journal of Educational Psychology, 103, 509-522. Chan, D. (2003). Virtually WAC: Coaching students on their writing during SARS. Educational Research Journal, 18, 73-82. Chan, H. L. (Accepted). Ultimate L2 attainment and ESOL. In J. I. Liontas, M. Dellicarpini, & A. Shehadeh (Eds. ), The TESOL Encyclopedia of English Language Teaching. Wiley. Chan, H. L., Finberg, J., Costello, W., & Shirai, Y. (2012). L2 acquisition of tense-aspect morphology: Lexical aspect, morphological regularity, and transfer. In L. Filipovic, & K.M. Jaszczolt, (Eds. ), Space and time in languages and cultures: Linguistic diversity (pp. 181-204). Amsterdam: John Benjamins. Chan, H. L. (2013). Aspectual coercion in non-native speakers of English. In M. Knauff, M. Pauen, N. Scbanz, & I. Wachsmuth (Eds. ), Proceedings of the 35th Annual Conference of the Cognitive Science Society (pp. 2006-2011). Austin, TX: Cognitive Science Society. Chan, H. L. (2007). Reduplication with phonological fixed segmentism — the emergence of the unmarked tone in Cantonese. In M. Kokkonidis (Ed. ), The Proceedings for the Second Oxford Postgraduate Linguistics Conference (pp. 43-50). Faculty of Linguistics, Philology, and Phonetics, University of Oxford. Chan, H. L. (2006). Prosodic morphology of Cantonese attenuative reduplication. In Y. Otsu (Ed. ), The Proceedings of the Seventh Tokyo Conference on Psycholinguistics (pp. 87-101). Hituzi Syobo. sentence comprehension. Paper presented at the American Association for Applied Linguistics Annual Conference, Orlando, FL. Chan, H. L. (2015, June). Morphological sensitivity in advanced Cantonese learners of English. Paper session presented at CAES International Conference, Hong Kong. Chan, H. L. (2014, March). L1 effects in L2 processing of English tense-aspect morphology. Paper session presented at Georgetown University Round Table on Languages and Linguistics, Washington, DC. Chan, H. L. (2013, August). Aspectual coercion in non-native speakers of English. Poster presented at the 35th Annual Conference of the Cognitive Science Society, Berlin, Germany. 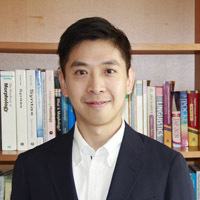 Chan, H. L. (2012, July). Language-specific effects in prototype: Evidence from processing L2 tense-aspect contrasts. Paper session presented at the 4th UK Cognitive Linguistics Conference, London, UK. Chan, H. L. (2015, December). L2 tense-aspect: Experiment and Corpus. Invited talk at the International Symposium of Psycholinguistics of Second Language Acquisition and Bilingualism, The Chinese University of Hong Kong. Chan, H. L. (2015, March). Aspectual coercion in L2 English speakers. Invited talk at the Department of Linguistics and Modern Languages, The Chinese University of Hong Kong. Chan, H. L. (2015, February). Aspectual coercion in non-native speakers of English, and Reading bilingually: Language switching costs in Cantonese-English bilinguals. Invited talks at the Graduate School of International Cultural Studies, Tohoku University, Japan. Chan, H. L. (2014, February). L1 effects in L2 processing of English tense-aspect morphology. Invited talk at the Department of Linguistics and Modern Language Studies, Hong Kong Institute of Education. Chan, H. L. (2012, March). Reading literacy. Guest lecture at Introduction to the Learning Sciences and Educational Technology, Carnegie Mellon University. Chan, H. L. (2012, February). A psycholinguistic investigation of L2 learners’ processing of English past and progressive morphology. Invited talk at the Department of English Language and Literature, National University of Singapore. grammar”. Summer Undergraduate Research Programme, CUHK. 2015-2016 Outbound Research Mobility Scheme for Institut für Deutsch als Fremdsprachenphilologie der Universität Heidelberg, Germany.